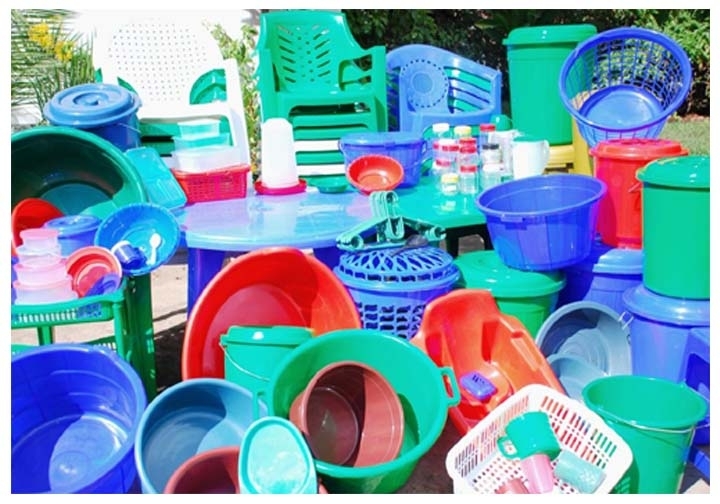 With the development of industries, the polymer or plastic industry started coming into picture eventually. This industry further developed with the increasing demand coming from the explosive population. At current point of time, the plastic industry has made enormous developments and has a major share in the consumer products market. Every individual in today’s world uses plastics in all spheres of his life. The RF system is essentially a signal generator embedded in a plastic medium that can take on different shapes and be utilized for highway toll tags, amusement park wrist bands, building security system badges, clothing inventory tags, library book management, cargo container seals and tracking systems, hospital patient tracking, childcare tracking – the list is endless and growing rapidly. The production of specific long-run applications will quickly become a commodity but the development of new applications will continue to be a knowledge-based activity. There may be some high security or high value, small production run applications that will not migrate to the lowest cost production destination. This particular segment is making tremendous development though being a recent concept. The application of nanotechnology to plastics is the opportunity to affect the performance of a particular resin and a profile of additives at the molecular level. This type of precise engineering has produced materials with properties such as greatly enhanced heat, dent and scratch resistance. There can also be an increase in dimensional stability, electrical conductivity, stiffness, and flame retardancy – any number of favourable characteristics. Being able to control the material performance at such a fundamental level and input a nearly infinite variety of substances as additives, gives the engineer and product designer substantially more latitude in product design and performance. Materials that are being applied to Nanocomposites include nanoclays, carbon nanotubes, nanotalcs, other minerals and related materials. At this level, the fundamental characteristics of the resin can have a unique interplay with the properties of each additive. This opens up the field of material science to a whole new approach but also brings a much higher level of complexity. This will drive the need for a wide array of software modelling, prototyping and testing to enable a more controlled and rapidly deployed material development process. Some of the immediate applications for Nanocomposites include automotive and aerospace components; military hardware; electronics; medical devices; timed release of biocides and dyes; barrier layers within food packaging; semiconductor/polymer device for improved photovoltaic solar cells; foam applications for seat cushions, disposable diapers; packaging materials – the list seem endless. Nanocomposites will be a key player in the on-going materials revolution that will produce many new product applications. This includes a series of polymers that respond in shape and displacement to changes in the environmental, such as temperature, amount of light, presence of water or pH. In many cases it is a non-linear response such that the shape change can be significant based on a minimal stimulus. When the stimulus is removed, the material can resort back to its original shape. There are a host of applications for these materials in surgical and other medical situations, remote actuated valves and switches at the micro and macro level for industrial and medical use, and many other opportunities. The smart polymer adds another dimension to the designer’s toolbox – remote change in distance based on specific, predictable conditions. Although plastics-related products have brought a substantial value to society over the past one hundred years, there have been several issues that needed to be addressed, including, the persistence of plastics in the environment after they are discarded and the consumption of petroleum – a non-renewable resource – as a feedstock for plastics. Applied research and new product development has been aggressively pursuing solutions to these problems and new options are beginning to surface. An emerging product is polylactic acid (PLA) polymers that are derived from converting starches and sugars from corn and sugarcane into resin pellets. These and many other developments have revolutionised the section of plastics and polymers. With such developments, no sooner plastics will be responsible for changing the way the world appears to us and the black mark of pollutant bestowed upon plastics would be long history.